According to New Hampshire's Revised Statutes (NH RSA 179:10), it is unlawful for any person under the age of 21 to possess or consume any liquor or alcoholic beverage. Any minor in possession or intoxication is considered guilty of a violation level offense. Known as New Hampshire's Minor in Possession of Alcohol, Internal Possession, or Underage Intoxication, this law functions under a policy of zero tolerance for anyone convicted of underage possession of alcohol, or underage intoxication. Any additional penalties imposed by the court. A first time New Hampshire underage possession offense may result in a license revocation of at least 90 days, but not more than 1 year. Second and subsequent offenses may result in a revocation of at least 6 months, but not more than 2 years. 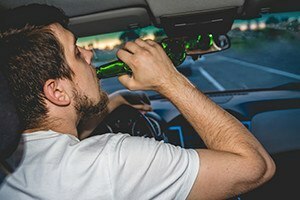 Under revised statute 263:56-b, a court may consider the successful completion of an alcohol abuse education program in lieu of driver's license revocation or denial. While underage drinking may only be a violation level offense, the penalties can be inconvenient and costly. New Hampshire courts take underage drinking seriously because our state has notoriously high underage drinking rates. In 2012 the National Survey on Drug Use and Health (NSDUH) found that 35% of New Hampshire 12-20 year olds reported drinking alcohol in the last 30 days, well above the Northeast numbers of 29% and the national percent of 25. The Northeast is ranked highest in alcohol abuse, reporting at nearly 58% of teens 12 or older. If you or your child has been charged with underage possession of alcohol in New Hampshire, it is important to understand your rights and legal options. Our criminal defense lawyers have significant experience defending minors charged with possession of alcohol. At Tenn And Tenn, P.A., we have years of experience in defending minors charged with alcohol possession and will build a strong defense on your behalf. Call us today to speak to one of our NH DUI lawyers at 603-624-3700 or on our toll-free helpline at 1-888-511-1010.